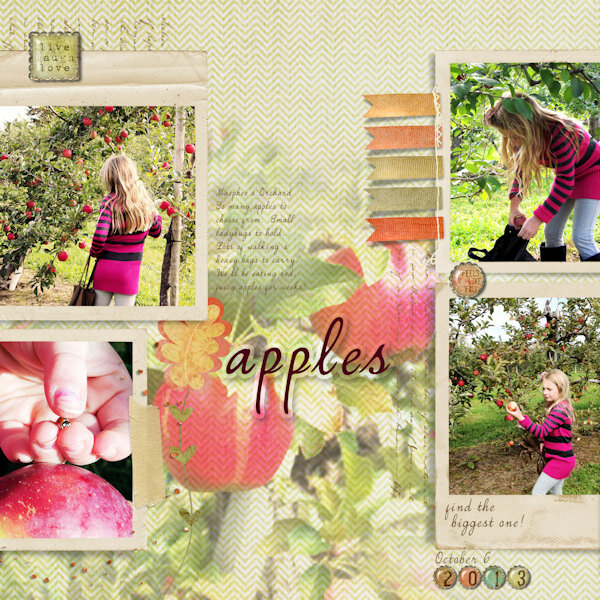 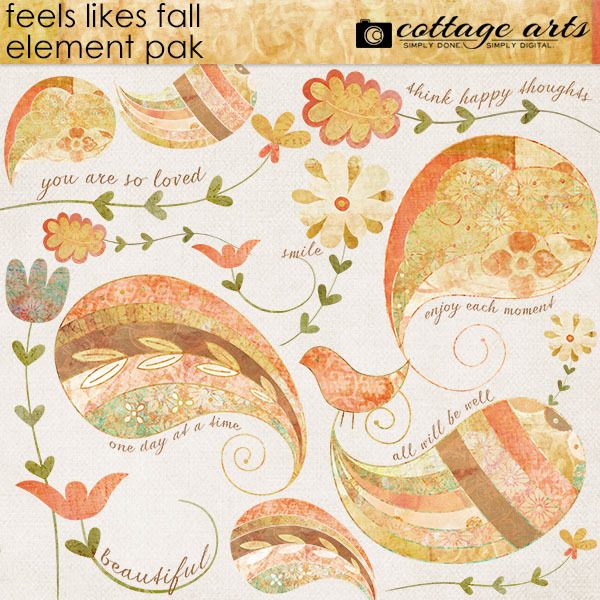 The autumn inspired colors in this element pak will make all of your layouts "Feel Like Fall!". 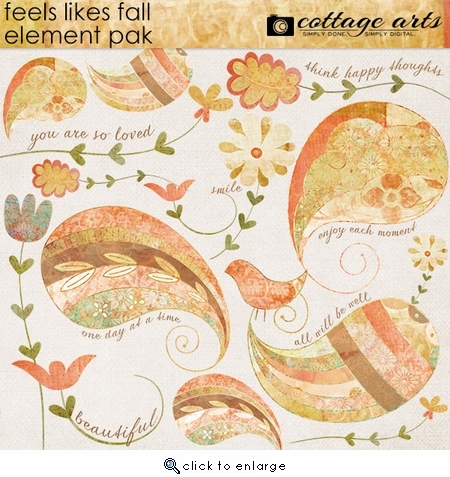 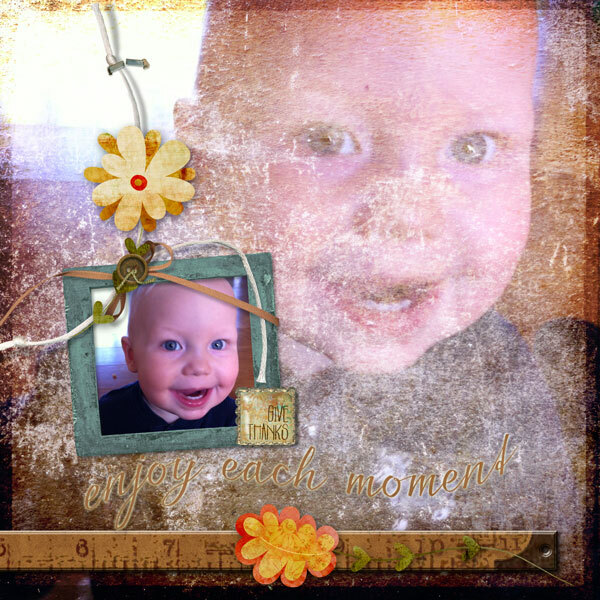 This kit consists of 9 hand-crafted elements, 7 with and without word art (word art also comes separately). 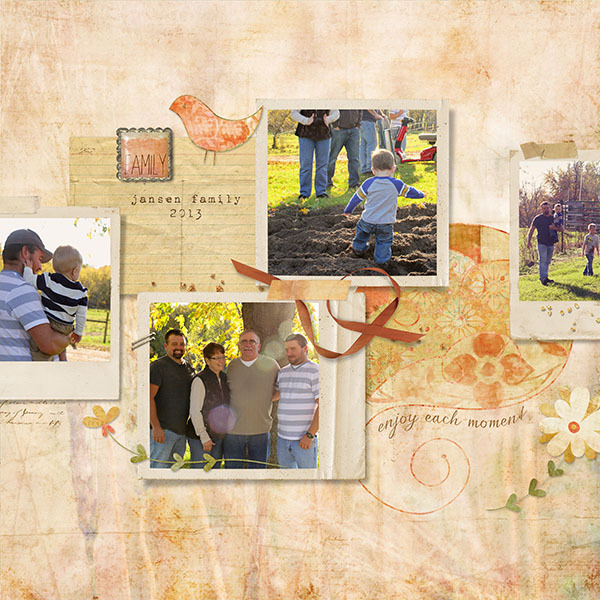 Perfect additions to fall-themed scrapbooking, card making, and other everyday craft projects!